SAEINDIA is a professional engineering society whose membership represents practically every engineering and scientific discipline. Its members combine their specialized abilities to further advance the research, development, design, manufacture and utilization of vehicles which operate on land, water, air and space. 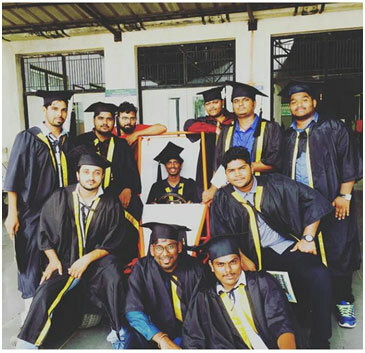 By becoming a member of SAEINDIA students become a part of a global organization whose benefits are geared specifically to the needs of the mobility engineering community. Formal education and professional development will be enhanced through SAEINDIA member benefits. The SAE (Society of Automotive Engineers) India Collegiate Club, SR Engineering College has started club this year. 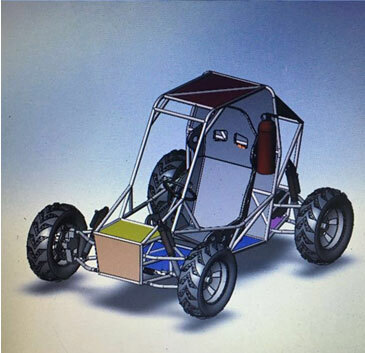 The student members of the club have been instrumental in designing and fabrication of Baja racing car by utilizing our college workshop/lab facilities, with different specifications given by various National and International organizations. The SAE Collegiate Club aims at providing the students of Engineering with learning facilities comparable to world class standards for designing and manufacturing of automobiles, imparting knowledge to design vehicles with lesser pollution and better safety standards to meet the norms, and to expose them to the latest research, development and techniques so as to cater to the growing needs of the industries and to mould the students as good citizens of our country. 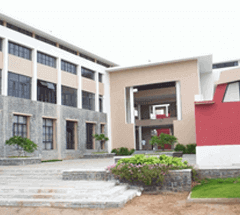 The vision of SAE Collegiate Club in SR Engineering College is to produce excellence in technical education, research and development with regular interaction with industries. To provide quality training, research and innovation in order to produce leaders in power generation, automotive, manufacturing, maintenance, industrial system control, materials, and marine systems to suit the needs of a dynamic world. 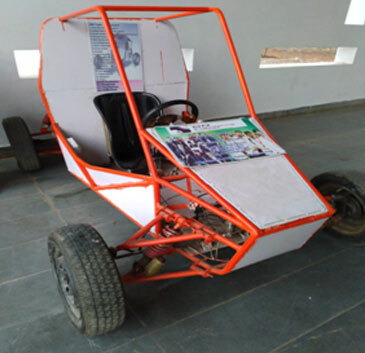 Students of IVth year had designed and fabricated All Terrain Vehicle under SAE COLLEGIATIVE CLUB. 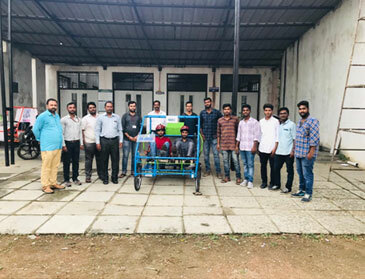 CAD model of " All Terrain Vehicle"
Students of IIIrd year, Mechanical Engineering Department had registered for International Go-Kart championship- which is organizing by LPU SAE COLLEGIATE CLUB, Lovely Professional University. Final Event will be conducted in the month of March 15th-18th,2019. 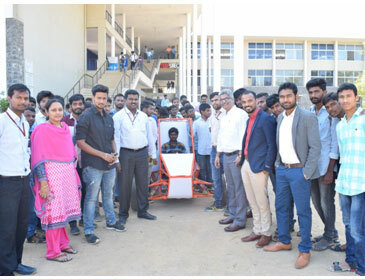 LPU had conducted workshop on Go-kart Designing & Rules to follow at Loyola ICAM College of Engineering and Technology, Chennai. Date of workshop organized 15th-16th Dec,2018. Students registered Go-Kart event and named team as Rudra Kakatiyas. 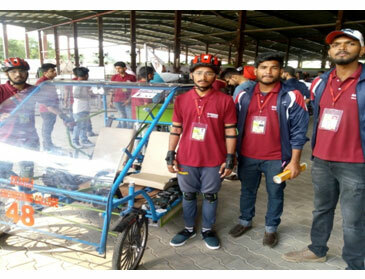 SREC SAE COLLEGIATE CLUB students had participated in SAENIS Efficycle competition on 8th-12th OCT,2018 at LPU, Jalandhar, Punjab. TEAM NAME-EKASILA, had got 28th Rank in the competition. A Two days workshop on " All Terrain Vehicle- Design and Engineering" was conducted by SAE Collegiate club on December 18th-19th,2017 at Mechanical seminar hall, Block II, SREC. Trainers : Avinash Singh CEO of DIYGURU, Bishnu Pratap Singh and Nishanth Kar. A One day workshop on " Scope in Automotive sector" was conducted on July 17, 2018 under SAE Collegiate club. Mr. Mayank Aurora, Chief Marketing officer of Elite Techno group had gave a lecture on the topic. JUNE – 2018 Promoting SAE club to the students for increasing membership. 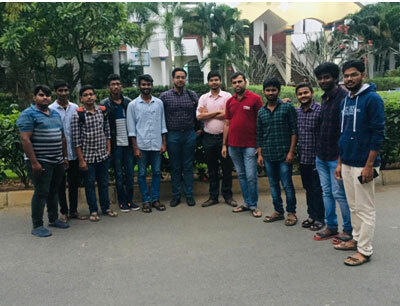 DECEMBER - 2018 Interaction of students with SAE team members, membership coordinators. JANUARY - 2019 Promoting SAE club to the students for increasing membership. Formation of SAEINDIA Collegiate Club in SR Engineering College for the academic year 2017-2018. SAE Members of Collegiate Club had registered for SAEINDIA Southern Section Tractor Design Competition (TDC) -2018. A list of 25 students had enrolled for TDC on 5th Aug,2017 which will be held in the month of Feb,2018. Second year students of the club has participated in Tractor Design workshop organized by SAEINDIA southern section. Mr. Prakash R & Vivek L completed Xomprehensive Automobile Development Internship from 16th-23rd Dec,2017, held at BITS Pilani Hyderabad Campus in association with SAE-BPHC. During this program they were tutored & guided by industry R&D experts. Mr. R Prakash was awarded with gold medal for getting top in the completion of internship. Two day workshop was conducted on " All Terrain Vehicle Design & Engineering", on 18th-19th Dec,2017 by SAE collegiate club with Department of Mechanical Engineering. Our final Students were participated in Virtual BAJA SAEINDIA 2016, which was held at Christ University, Kengeri Campus, Bengaluru. 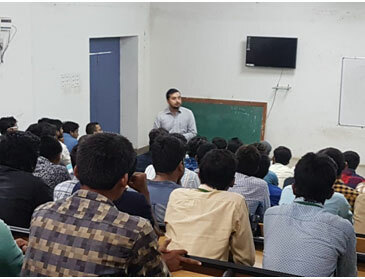 IIIyr Mechanical Engineering students participated in "Welding Technology for BAJA & SUPRA vehicles" program on 2nd & 3rd July,2016 under SKIP program of SAEINDIA. SR ENGINEERING COLLEGE SAEINDIA CLUB has conducted Tier 1 events on 28th and 29th September, 2016 at Block II, Drawing Hall. A Two day's workshop on " RC Aircraft Design, Fabrication & Flying " was also conducted under the banner of SAEINDIA on 28th and 29th September, 2016. Mr. Dheeraj Joshi, Faculty Advisor, SAEINDIA, SR Engineering College attended "Faculty Advisor Forum" at VelTech University, Avadi, Chennai on 13th & 14th October 2016. Promoted SAE club activities to the students of Ist year for increasing Participation in events of SAEINDIA, to increase membership. Students had participated in Tier II events in Malla Reddy College of Engineering & Technology "Student Convention 2016-2017 Divisional Level".